We have a growing church family. Approximately 170 of us are members but with children and others committed to our church we number more than 300. At one level, the church is the total number of God’s people everywhere, When Paul said that Christ is ‘head over everything for the church which is his body,’ (Eph. 1:22,23) he was speaking not just of the Christians who belonged to a church in Ephesus but of everyone everywhere who believed in Christ, This is usually called the ‘universal church’. Please note – the New Testament knows nothing about a Christian belonging to the universal church while at the same time neglecting to become a member of a local church. Originally a ‘member’ was a limb or part of a body, and Paul uses this idea in some of his letters, He sees the church as the body of Christ, and each person as a member of that body (Rom. 12:4,5). Everyone has a part to play, working together in a living relationship with Christ who is the head of the body and the source of its life (Eph. 4:15,16). Read 1 Cor. 12:12-27 to see how Paul stresses the fact that just as members or parts of a body operate in a coordinated way for the well-being of the body, so Christians as members of Christ’s body, the church, should work together as a unity- ‘Now you are the body of Christ, and individually members of it’ (v.27). That question is reasonably easy to answer because the Bible makes it clear that New Testament churches were composed of believers who had been baptised (Acts 2:41; 16:13-15, 23-40), The sequence is always the same – faith ± baptism ± membership. For a person who has accepted Christ as Saviour, then baptism and church membership should be the next logical steps. Why should a person become a member of a Church? As Baptists we rightly stress that a person’s salvation is personal and individual. Each person ‘must be born again’ individually into God’s family. But once we become children of God the stress should be on the family aspect, on being members of the ‘household of God’ (Eph. 2:19) or as Paul puts it in Gal. 6:10, the ‘family of believers’. The idea of ‘household’ or ‘family’ suggests a place where we can share our joys and sorrows, and where we can grow up and become mature. In other words these are the privileges of belonging. The idea also suggests certain responsibilities – of caring for one another, of maintaining the well-being of the family, and accepting its discipline. Certainly church membership has its obligations – to promote true Christian Fellowship (1 Cor. 12:25-27). to attend the various meetings regularly(Heb. 10:24,25), to give financial support to the work (2 Cor. 9:7), and to share prayerfully in the decision making (e.g. Acts 13:1-3). How is a person received into membership? The actual procedure is very simple, When you apply for membership you will be interviewed by office-bearers of the church who will want to hear your ‘testimony’ and know something of your spiritual experience. When the church has accepted your application after hearing a report from those who interviewed you, you will be received into membership, usually on a Sunday at the Lord’s Table, The pastor or one of the elders will give you ‘the right hand of fellowship'(Gal. 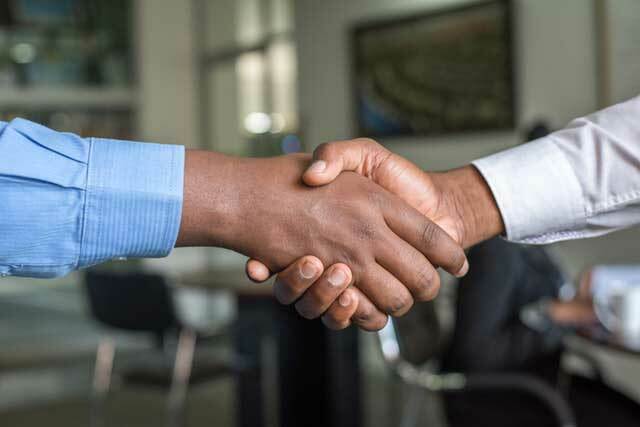 2:9), That may seem a strange term for a simple handshake, but it means a great deal more than a mere ‘Hallo’ or introduction, It means that you are accepted into the fellowship and care of the church with all the privileges that will bring. The handshake is also a sign that you commit yourself to the church to fulfil the obligations that being a church member will involve. The ‘right hand of fellowship’ is the sealing of a contract between you and the church in the presence of the congregation. From time to time as required we hold membership classes for those seeking membership. Why don’t you contact the Elders to indicate your desire to take explore the possibility of joining the church so that a class can arranged? Moira Baptist Church © 2018 All rights reserved. Web design and maintenance by 2hearts ministries.